So, you are finally decided to take the plunge. Congratulations! You are now getting into the entrepreneurial boots that have been waiting for you all this while. There is a thing or two that you need to know about the terrain you will soon be walking. It is rough than you can imagine and if you are not careful, you might just end up with injuries, minor or major. This serialised set of articles is an attempt to help you ensure that the business or service you start (or already started) will transform into a profit-making venture. We will help you to take just the right ‘steps’ in your walk, overcoming all the obstacles, like pitfalls and booby-traps, that come in your way and guide your path to reach your target. Even if you do not have an idea of starting a small business today, who knows, one day you might. Or, a friend of yours, might invite you for a partnership. So, treat this series as a learning experience. 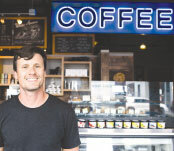 Owning and running a small business can be rewarding if you have what it takes to succeed. If you need to be sure whether you’re making the right decision, there are few questions you could ask yourself regarding your skills, talents, and abilities. We will talk about them in coming weeks. Today’s instalment helps you understand the realities of starting and running a small business so that you can figure out how and why it may or may not work for you. In my opinion, a small business is simply a small entity organized to generate a profit. Quite honestly, Anyone, who wants to start a business want to generate profit, keeping within the legal and ethical parameters. Size or complexity does not matter. The business may be a side hustle, self-employed two-person unit, or an organization of 50,000 people. The principle is same. Unbelievable results can be achieved from any construct. Value is independent of size and complexity. One can make it big with a big idea? One can make it big with several small ideas? There is no difference. 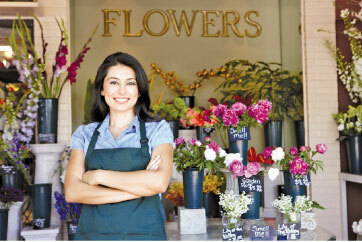 When it comes to owning a small business, do you imagine owning a small specialty store in your town? Do you imagine selling a product online? Maybe you think of running a professional firm with 5 engineers that will soon grow to 50. The small business you create is there to generate income, help you fulfill your goals, and increase your freedom. Nothing more. Creating a small business doesn’t need to be daunting or overwhelming. In its most basic form, it’s exciting, achievable, and liberating. It’s a machine designed to advance your personal agenda. The lingo of the business world - cash flow, profit and loss statements, accounts receivable, debt-to-equity ratio, and so on –might make a prospective small-business owner like you jittery. Don’t be fooled. You’re probably more acquainted with the basic concepts of doing business than you really think. If you’ve ever participated in a annual sale at your club or association or been paid for a musical performance, or operated a small tuition class or children’s’ pre-school service or home cleaning service, you’ve been involved in a small business. Being a small-business owner doesn’t mean that you have to work 70 hours a week, make a six-figure income, or offer a unique product or service. We know many successful small-business owners who work at their craft 40 hours a week or less and some who work part-time in addition to holding a regular job. The vast majority of small-business owners who provide products or services are like that. Here is a story of a young lady known to me. Let us call her – Jeeva. One fine morning, after doing her morning jog, a sudden thought came to Jeeva’s mind, “Boy, I could sure go for a glass of kola kenda. Eureka! Jeeva got a business idea. With no kola kenda stand in 5-kilo radius, she began a simple research. She started by asking her neighbours and friends, if they’d like to drink kola kenda every morning. She quickly discovered that if the quality of product, service, and the location are good enough, such a business may attract a fair number of customers. Technically, she has just conducted her first market research. She realised that her immediate community has a need for a kola kenda business. Her first priority was to find a potential location. Although she could set up in front of her house, she decided that herby-road would not get enough traffic. To maximize sales, she decided to set up her stand on the corner down the road where there was reasonable parking capacity. That property was owned by and Dalpadadu, two retired school principals. Their children were out of the country and they lived alone. Jeeva had a long discussion with the couple and convinced them to give her permission to set the stand up in front of their house for three hours in the morning, in exchange for two free glasses of daily kola kenda. Now, Jeeva had negotiated her first lease with good benefits. Now, she has her kola kenda stand (her store), cash box, a table, two chairs and three pitchers (her furniture and fixtures), and the kola kenda (her inventory). Omega kola kenda (her brand) is now ready for business! As a matter of fact, the business challenges and issues that Jeeva’s kola kenda stand faces are the same that Levers, McDonalds, American Express, Boeing, Disney, and every other big company faces. Sales: Boeing manufactures and sells airplanes; Jeeva sells kola kenda. A sale is a sale no matter what the product or service is or how large or small the ticket price is. Cost of goods: Boeing buys parts for its vendors and suppliers; Jeeva buys dark green leaves from outside suppliers: rice, coconut powder, salt and tall paper cups from the grocery store. Expenses: Boeing has employee wages and pension plans (or employee benefits); Jeeva had an allowance paid to her assistant and a small margin of profits to the assistant happy (also a form of employee benefits). Profit: Boeing subtracts the cost of its goods and expenses from its sales; the same is true for Jeeva’s kola kenda stand. Accounts payable: Boeing owes money to its vendors who provide it with parts; Jeeva owes money to the outside suppliers and local grocery store for supplies. Accounts receivable: Boeing has money due from its customers (major airlines and governments) that buy the company’s airplanes. Jeeva has money due to you from few credit customers who pay weekly. Cash flow: Boeing has money coming in and going out through various transactions with customers and vendors (sometimes cash flows positively, sometimes negatively), and so does Jeeva. Assets: Boeing has its manufacturing plants and equipment, inventory, office buildings, and the like; Jeeva has her stand, table, pitchers, two chairs and cash box. Liabilities: Boeing owes suppliers money; Jeeva owes money to her suppliers. (Net worth) Net worth is what’s left over after Boeing subtracts what it owes (its liabilities) from what it owns (its assets). Ditto for Jeeva’s small business enterprise. This comparison between Omega kola kenda Stand and Boeing could go much deeper and longer. After all, the basics of the two businesses are the same; the differences are primarily due to size. In business, size is a synonym for complexity. So, you may be thinking, if business is so simple, why isn’t everyone doing it - and succeeding at it? The reason is that even though the basics of business are simple, the details are not. Consider the various ways in which you grant your customers credit, collect the resulting accounts receivable, and, unfortunately, sometimes write them off when you’re not paid. Think about all the money issues: How do you compile and make sense of your financial figures? How much should you pay your vendors for their products? And when you need money, should you consider taking in partners or should you borrow from the bank? These are difficult questions to answer. And, lest we forget, how should you deal with, amongst others, the Internal Revenue Service, the Municipality Heath Inspector service? These are but two of the complex details that muddy the waters of business. While working as CEO of General Electric, Jack Welch once said in a speech to his division managers, “Think small. What General Electric is trying relentlessly to do is to get that small-company soul . . . and small-company speed . . . inside our big-company body.” Think small? What’s happening here? Why would the CEO of a gigantic company like GE want his employees to think small? Because Jack Welch knew that small can be beautiful and because success and survival in the business arena always favour the agile over the cumbersome, the small over the big. Thanks to this “small is beautiful” trend - and thanks to increasing technological advances - you no longer have to be big to do big things; you can be small and still compete in most of today’s marketplaces.